Think you have what it takes to make some weird monsters and make some money doing so? Let’s find out! 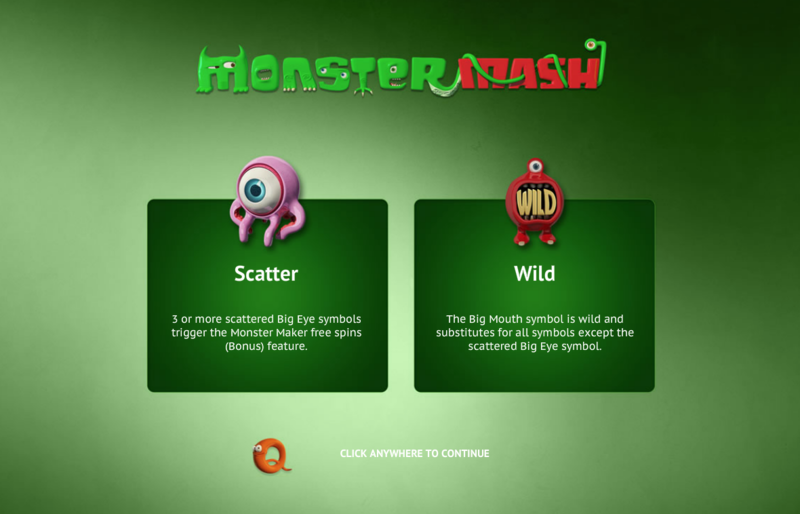 At first, we thought that this was a slot inspired from the hit song ‘Monster Mash’ but it’s actually just a slot based on mashing loads of creatures together and seeing what sticks! You could maybe listen to the song yourself as you play to heighten your enjoyment of it, we do that all the time. This 5 reel slot comes with 243 different paylines, so as you can see, there are plenty of combinations you can mess around with. With a RTP percentage of 96% you can see why this is considered one of the better slots to play for making money. There is a jackpot of 100 coins waiting for anyone wanting to make some of the weirdest combinations known to slots. Be sure to check out the rest of the review below for more info. Go ahead and spin the wheel today! Scatters: Scatter symbols will throw your symbols around in various different directions when matched outright. Not only that but you’ll find that you’ll be earning free spins as a result which are just as unique in their own right. Free Spins: Free spins are always going to help you in any online slot simply because of the financial implications that come with them. 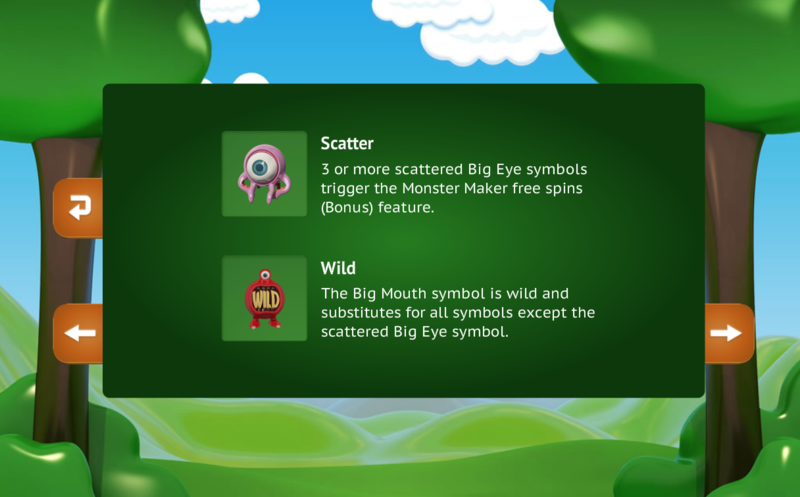 Match the scatters and you’ll earn free spins in return. The more scatters you match the more free spins you earn. Free spins come with multipliers that can turn good scores great. Play today with one of our amazing uk slot promos!